I will never visit this place, and I am sorry, I am curious. 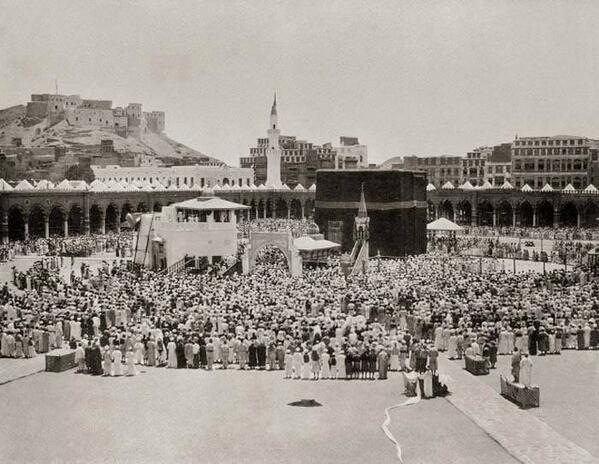 Once upon a time, the Turk Ottoman conquered Mecca and they built a fort to protect the Grand Mosque, Masjid-al-Haram with the Kaaba with the Black Stone at the center, all the pilgrims have to kiss it. This is a 1888 photo and we can see on the left the Turkish castle, now it is gone. The government from Ankara was furious when learn that the Saudi had decided to raise it to the ground and built a five stars hotel in its place. They built it. 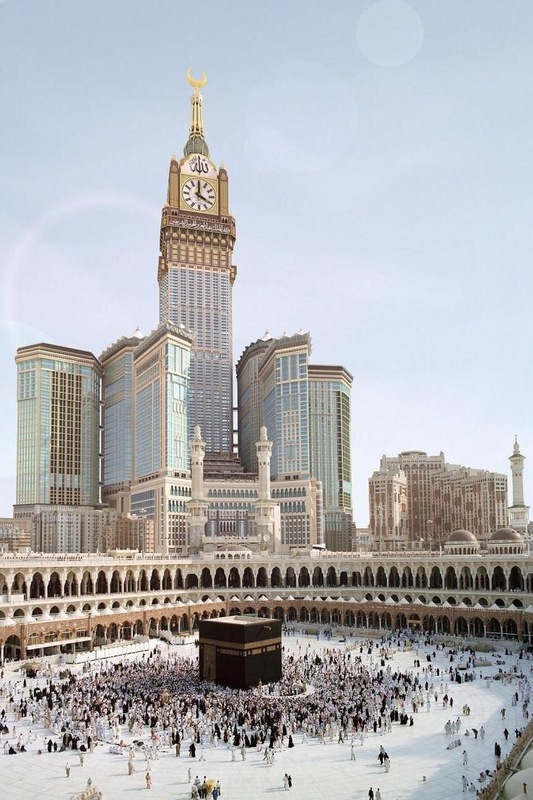 The Makkah Hotel, better known as Makkah Clock Royal Hotel, is 660 m. tall, twice the Eiffel Tower. It is like an impressive soviet Stalinist structure revisited in Las Vegas style. I checked the price. I started to make a reservation for one night, double room, the most economical one $1,139.91. I did not enter my credit card number when requested. Tanto tempo fa, I Turchi Ottomanni conquistarono la Mecca e costruirono un castello per proteggere i luoghi sacri. You are currently browsing the A Photo a Day blog archives for July, 2015.